Your customers are leaking money. What’s worse, they don’t even know they’re doing it. Having the right conversations with your customers, and directing them to the right solutions can help them increase their productivity and accelerate their growth, while also earning you their trust and winning you more business. If your customer is a growing business, chances are they’re starting to do new things. To help them achieve these new things, they’re likely to be acquiring new systems. And if they’re doing it without the advice of a trusted professional services provider like you, some of them will probably get it all wrong! When new issues and needs crop up for customers, they are often exposed one at a time. So when buyers look at implementing new software, they look at individual applications, each to solve one specific problem. The result? They end up with a range of different systems that don’t integrate well with each other, create duplicate processes, and need users to manually rationalise, compile and review the information captured by these systems. In addition to being massively inefficient, it also increases the likelihood of human errors, overlooked information and misinformed decision-making – all of which cost them thousands of dollars each year! So what’s the answer? I’ve found that buyers in growth mode have many common needs when it comes to a business management solution, but there’s one thing that sits right on top of my list. My tip? Any business management solution your buyers implement must have the ability to integrate with other systems and applications. Actually, why not take it a step further? 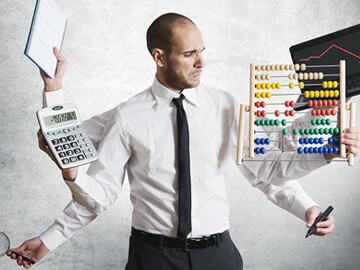 To really drive up their productivity and achieve true efficiencies, your customers should ideally be leveraging integration so seamless that all of their key systems are accessed through one platform, from financials to inventory management, from Business Intelligence reporting to the CRM. One amazing system, HARMONiQ can do everything you need it to well trumps the many other systems that can do just one thing. Leveraging your own IP and skills to help them extend these integrations further. 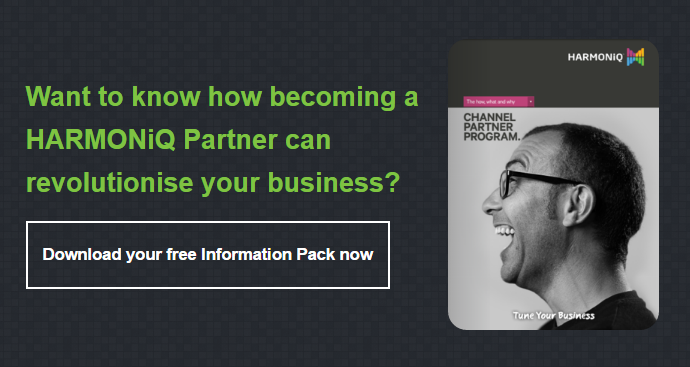 Find out more by downloading our Channel Partner Information Pack. I hope these thoughts will help you the next time you’re in a meeting with a potential customer – as you know, sometimes you have to expose the pain points before you can address them. If you’ve already had such conversations with your prospects in the past, it would be great to hear from you and understand your customer’s problems, please click here to get in touch. Drew Arthur is the Managing Director of Micronet Systems, and is focused on working with professional services providers to help their clients overcome inefficient sales, inventory and customer relationship management practices by leveraging cutting-edge technology. If you want to help your clients gain further efficiencies within their business, click here to see how HARMONiQ Business Tuning Software can make a difference to their business and your own, or click here to get in touch.